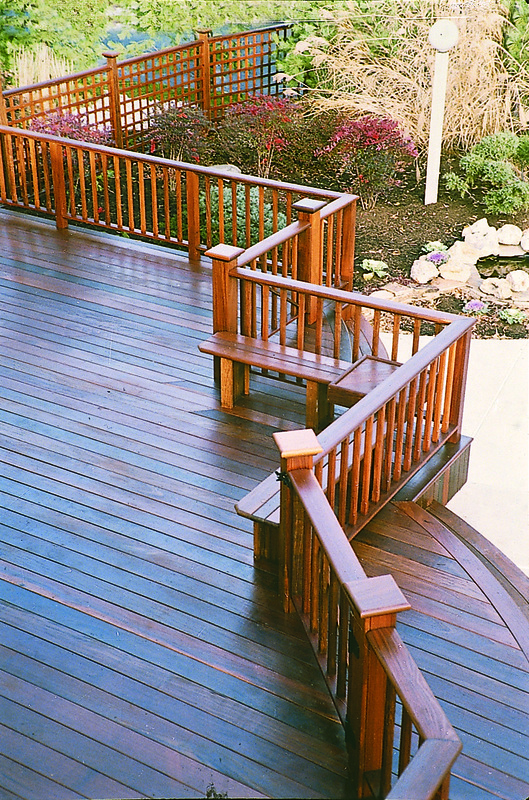 A quality solid hardwood deck is a wonderful addition to any backyard. As an extension of your home, this space can quickly become one of your favorites. 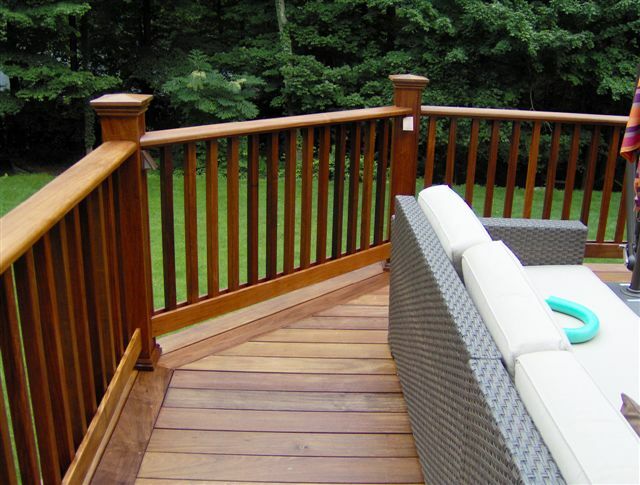 Highland Hardwoods offers some of the finest hardwood decking available anywhere. Whether it be Mahogany, Garapa or Ipe, we are certain you will find the superior decking you have been looking for….that will bring you years of enjoyment. Ipe is well known for its superior strength, decay resistance, and uniformity in color. We stock only 100% heartwood, rich reddish brown hues, which make for an unparalleled look. It has become one of the top choices for solid hardwood decks due to its low maintenance, attractive color, and extremely smooth surface. It can be finished with penetrating oil such as Penofin or allowed to weather naturally to an attractive silver gray color. Red Balau is an extremely dense, tight grained hardwood. It’s an attractive decking choice, with warm tones of deep rich red and browns. A stable wood that is resistant to shrinking, splintering and checking, making it the ideal choice of lumber for your deck. 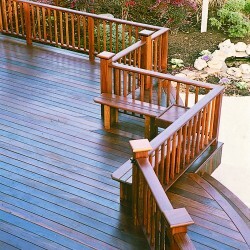 We offer a full line of Mahogany products from decking to balusters and post caps. Garapa Gold, Western Red Cedar and Fir are available on a special order basis. Please call to inquire for pricing and availability.